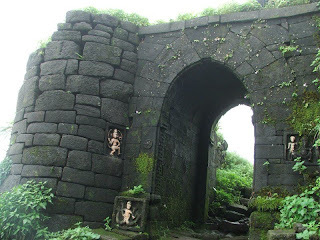 Ratangad is an important fort in Ghanchakkar ranges near Igatpuri. The base village Ratanwadi has a beautiful Amruteshwar temple which is famous for its carvings. The fort is origin for the river Pravara. 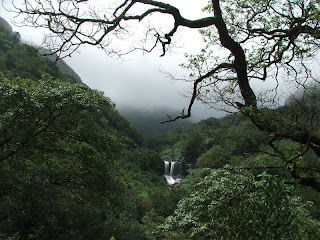 The Bhandardara dam is built on this river. 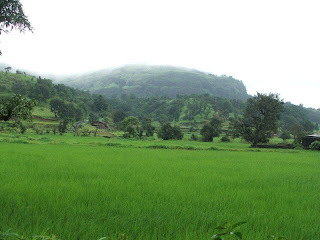 Main attraction on Ratangad is the ‘Nedhe’, the natural hole in wall of the mountain. One can go & sit in it & see beautiful views around. The Khutta pinnacle which is adjacent to Ratangad is also worth seeing. The origin of Pravara river is at about 45 mins distance from Nedhe. Ratan gad is a huge fort in the beautiful bhandardara region near Nashik(Nasik) district AhmedNagar, it lies near harishchandragad and kalsubai peak. 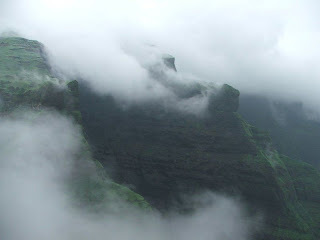 It lies 20 kms away from the bhandardara dam and 4255 feet high.There is a temple of Ratna Devi in cave at top of fort. The base village is also by same name called Ratanwadi where the beautiful temple shiva is situated. which is treat to photographers. comes the ugam of Pavara River which is Cirsten and also Ratna Devi temple in a cave.The cave near Ratnadevi temple is used for overnight stay. 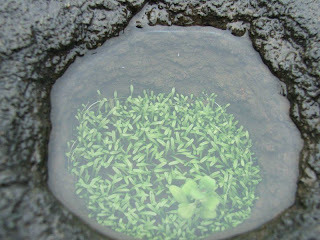 The whole Ratangad is covered with green grass which has little blue flowers and as water cistern too. 1. Good sack to pack all your belongings. 3. Water bottle of 1.5 liter (At least 1). 4. Extra pair of clothes to change.